Hosts include Esko, mayor of a small town near the Arctic Circle in Lapland, who will take you boating and teach you to play mölkky, a Finnish throwing game. 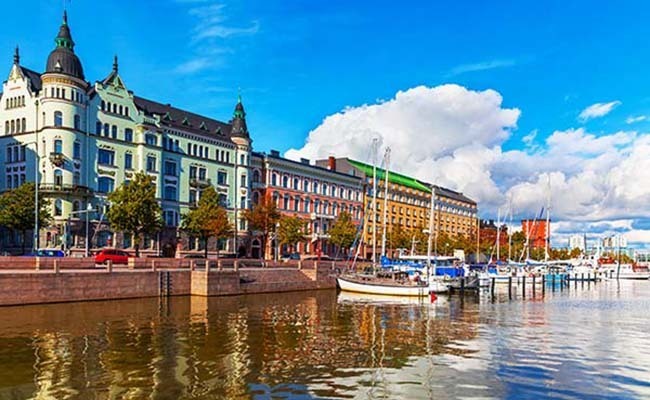 If you stay with Hanna, an IT professional, you’ll travel to her grandmother’s lakeside home outside Helsinki, where you’ll pick blueberries, eat traditional pastries, and hang out in the sauna. Linda and Niko live on Utö, Finland’s southernmost island in the Baltic Sea with a population around 40. They’ll take you sailing through the archipelago, show you the lighthouse, and camp out on an islet. How Important is Being Happy? Wonderful that Finland cares about the citizens. What a wonderful opportunity. Wow!